For two years, from 2012, the State Library of South Australia worked diligently to create a digital repository of the South Australian Red Cross Information Bureau’s (SARCIB) records, in order to “enable other institutions, researchers and family historians worldwide to interrogate, contribute to and harvest the database, and highlight South Australia’s contributions to WW1.”1 The State Library was able to launch this invaluable resource in 2015. We can see the importance of this repository through the story of an individual taken from his SARCIB packet. 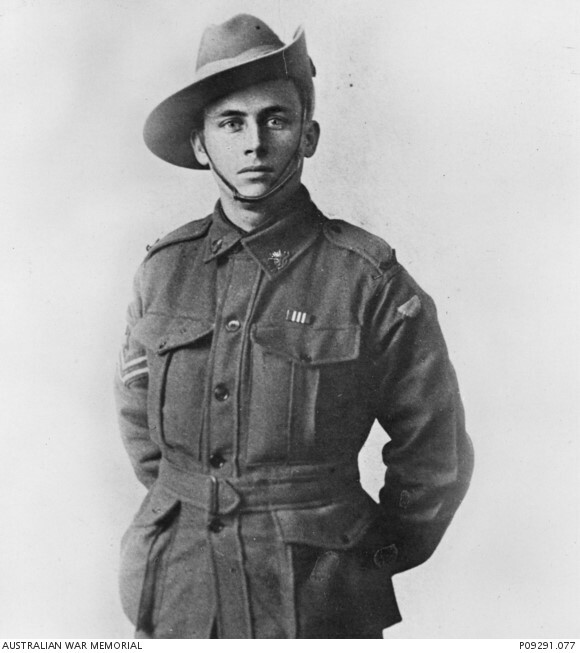 Corporal Harry Burgan Slee was not yet 21 and already the recipient of a Military Medal when he became the subject of a Red Cross file, after his battalion, the 50th Australian Infantry Battalion, was involved in fierce fighting with heavy casualties at Villers-Bretonneux at the end of April, 1918. The SARCIB files contain copious correspondence with Slee’s family and witnesses to his fate. On 24 October 1918, some six months after he was listed as missing and wounded, Slee’s father Walter wrote to the Bureau. Sadly, witness statements taken from July to September reported the severity of his son’s wounds and his death, and the same day of his father’s letter of thanks and donation to the Red Cross Information Bureau, saw the fate of Harry Burgan Slee updated to Killed in Action on 25 April 1918 by A.I.F. Headquarters. The news did not reach Wallaroo for some time and, in November, Slee’s father was enquiring about the cost of cable to discover whether his son was a prisoner of war. Throughout November, the Slee’s clung to this slim hope which, it turned out, had come from a family friend who had hosted Harry’s brother Clive, serving with the 8th Artillery, while on leave in London. Apparently Clive had been told by A.I.F. Headquarters that his younger brother had not been killed in action but was instead a prisoner of war. At the beginning of December however, the Red Cross Information Bureau was communicating the worst to Mary Luck, an inquirer whose relationship to Harry is not known. However, it would seem that to the family, which included not only his father, but also his cousin and his fiance, the SARCIB was more reticent. Although the evidence of the eyewitness, Private G.V. Shaw of “A” Company, who had done his best to dress Slee’s wound, had been given on Christmas eve 1918, it was not until the 12th of June that this was reported to Slee’s father. According to Shaw, the German machine gun bullet had hit Slee “on the lower part of the ribs”, exiting through his spine. SACRIB followed this with another witness statement confirming that two men of his platoon had found Slee’s body on April 25th. At the beginning of December however, the Red Cross Information Bureau was communicating the worst to Mary Luck, an inquirer whose relationship to Harry is not known. However, it would seem that to the family, which included not only his father, but also his cousin and his fiance, the SARCIB was more reticent. Although the evidence of the eyewitness, Private G.V. Shaw of “A” Company, who had done his best to dress Slee’s wound, had been given on Christmas eve 1918, it was not until the 12th of June that this was reported to Slee’s father. According to Shaw, the German machine gun bullet had hit Slee “on the lower part of the ribs”, exiting through his spine. SACRIB followed this with another witness statement confirming that two men of his platoon had found Slee’s body on April 25th. South Australian Red Cross Bureau of Information, "Slee, Harry Burgan, Form C, 26 May 1918." These records can tell us so much more than just the events surrounding the soldier. In Harry Burgan Slee’s case we learn that he was not only a school teacher and well-liked, but also a great lightweight boxer. We witness both the confusion arising from reports from a myriad of sources and the dedicated investigative work brought to bear to unravel what were, in some cases, very tangled skeins of information. The Australian Red Cross’ efforts did not end with World War One. On 2 February 2016, the Governor launched the exhibition, “The Right to Know: 100 years of the Red Cross International Tracing Service”. Held at the State Library from the 14th of January to the 27th of March, the exhibition takes visitors on a journey from the earliest days of the Red Cross Information Bureaus, helping loved ones desperate for news of those serving Australia in the trenches of the Great War, through to the contemporary efforts of the Australian Red Cross International Tracing Service in reuniting families torn apart by conflict, disaster and migration. The exhibition is free and open daily from 10am to 5pm (except for public holidays). Visit the exhibition’s website to find out more.